I'm not one to wear too many layers as I tend to get hot, but I do love the dimension of layering clothes. Layering is a great way of utilising your clothes but at the same time keeping you warm. (All images below are from Pinterest). Shirts and t-shirts look great under jumpers, this type of layering work best if the shirt or t-shirt is a little longer than the jumper. Try mixing different prints too. 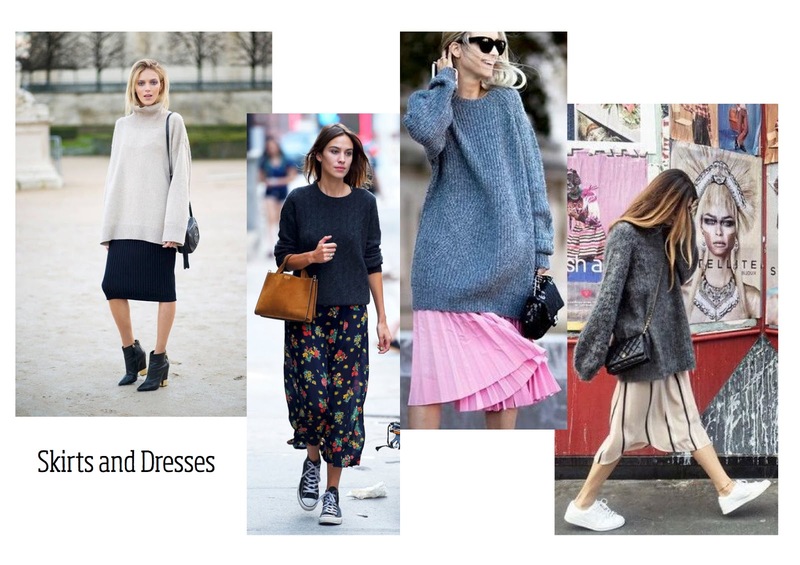 Make the most of your summer dresses in winter by throwing over a chunky knit jumper. You could also wear your dresses over jeans, followed by a long big knit cardigan. 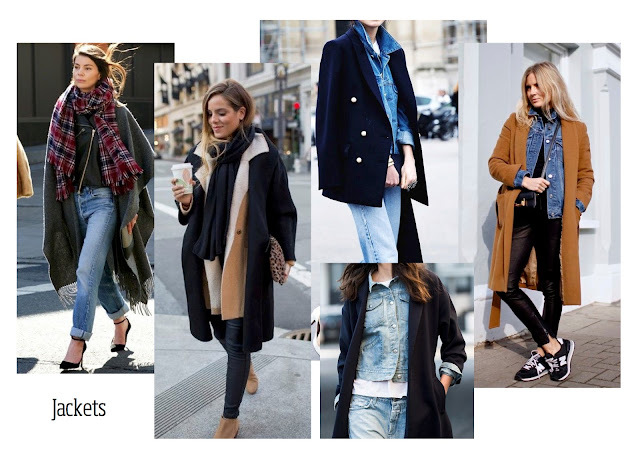 Multiple jacket layering works best when mixing two different types of outerwear, light with heavy. I like the combination of denim and wool but works equally well with leather or shearling as pictured below. Layer a blazer under your coat or jacket for a lighter option. Scarves are a great way to layer too, wear them like ponchos or wrapped around your neck as a statement piece. 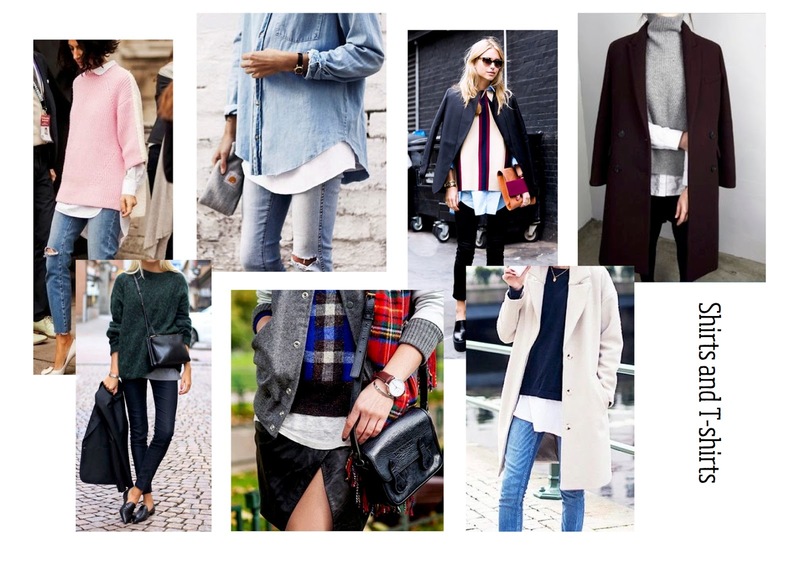 I hope some of these looks have inspired you to try layering.